Timothy J Kelly is a veteran trademark attorney with extensive experience in all aspects of trademark and unfair competition law, including domestic and international trademark portfolio management, clearing and prosecuting trademarks, licensing, IP due diligence investigations and litigation, both in the district and appellate courts and before the Trademark Trial and Appeal Board. 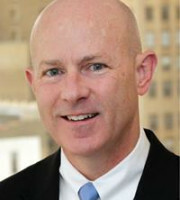 Mr Kelly also has significant experience negotiating and litigating internet domain name and other e-commerce disputes. Mr Kelly has represented a wide range of clients in various industries including finance, apparel, food, pharmaceuticals, consumer goods, electronics, appliances and publications. Mr Kelly has also handled patent litigation matters in the district courts and at the Federal Circuit. Mr Kelly frequently guides clients, ranging from start-ups to multinational corporations, through the brand development process, and thereafter provides guidance on marketing and advertising issues. When necessary, Mr Kelly litigates trademark, trade dress and other unfair competition matters to help his clients to enforce their IP rights and obtain injunctive relief (including ex parte seizure orders) and damages, where appropriate. named in Super Lawyers, New York Metro edition (2015-2017).